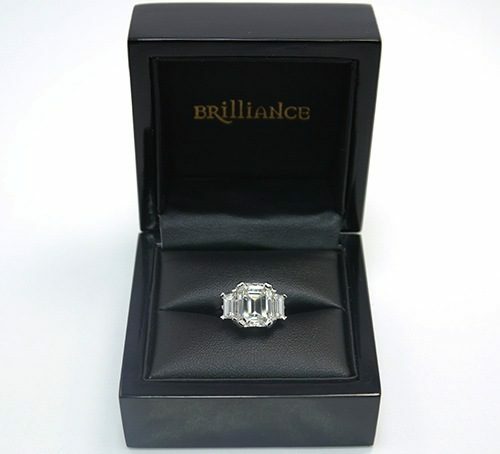 This stunning custom diamond engagement ring is set in 14K White Gold, featuring two Trapezoid-Cut Diamonds on either side of a sparkling Emerald-Cut Diamond. Our Master Gemologist hand-selected the Trapezoids to match perfectly. 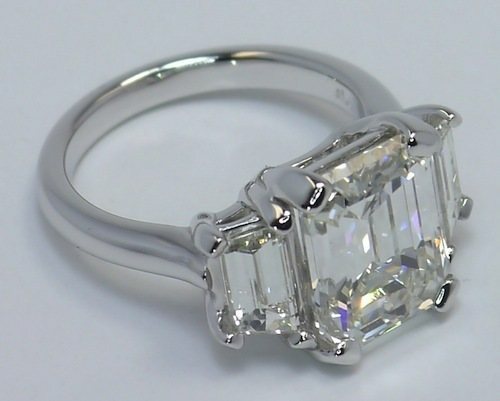 Each Trapezoid weighs 1/2 carat for a combined weight of 1 carat total weight. They are I-J in color, VS1-VS2 clarity, and Ideal-Cut. 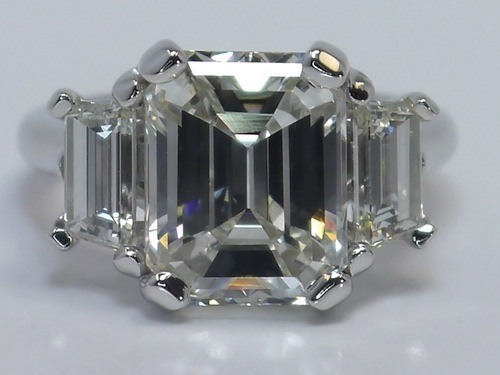 Selected by the customer with the help of a Brilliance diamond and jewelry expert, the Emerald-Cut Diamond weighs 3.93 carats and has a J color grade and VS1 clarity rating as certified by the GIA. Do you have a custom setting you would like to make a reality? 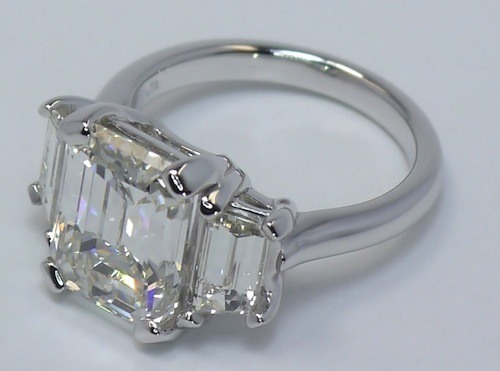 Fill out our Custom Engagement Ring Form or give us a call today to get started, 866.737.0754! Watch the video below to learn more about our custom process.